Uurnog Uurnlimited feels like a knock-off Super Mario Bro 2. 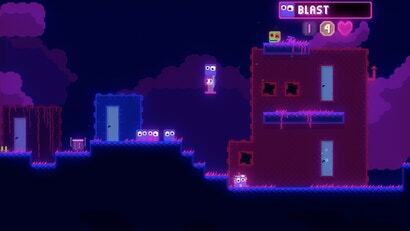 It's a blocky platform puzzler where you pick up and throw everything, from enemies to bombs. It's a bit rough around the edges, but its freeform approach to puzzle design means that you're able to come up with your own solutions. It's a sneaky little game that might have slipped past your radar.